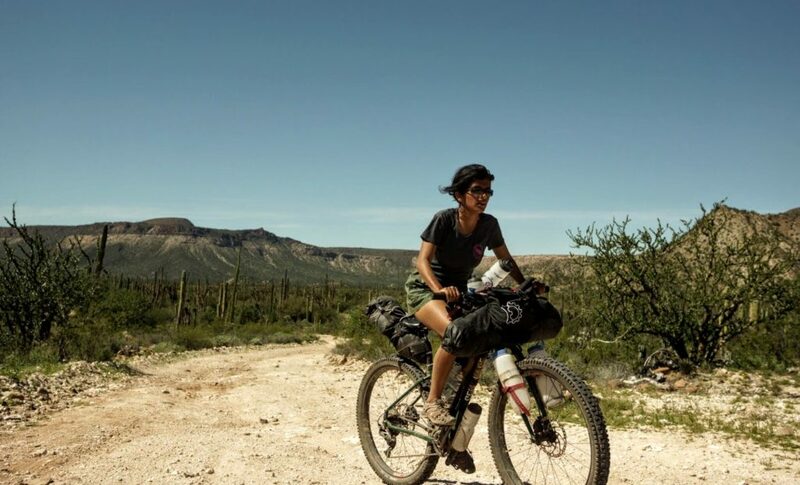 Lavanya Pant has just done what 99.9% of us will never attempt in our lifetimes: she’s pedaled across the Baja Divide. 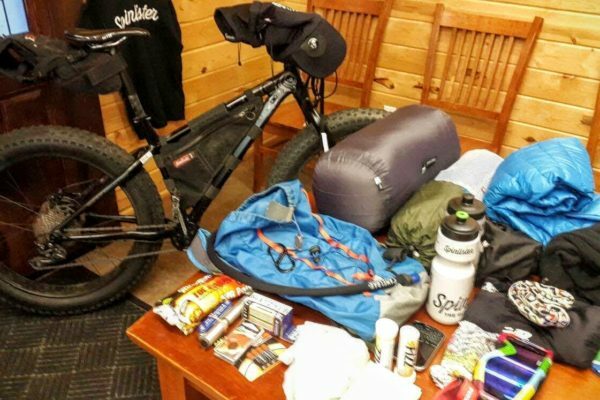 For any trail cyclist, this would be an impressive feat; but to truly understand what makes Lavanya’s story so compelling, it helps to start with a little background. Long before the Indian/Australian trailblazer ever dreamed of steering a mountain bike from the Pacific Ocean to the Sea of Cortez, her cycling career took an unfortunate early turn. “I got hit by a car,” as she puts it, almost too casually. “It was nothing serious. While I was living in Adelaide, I was riding on my street and a neighbor backed into me. It was my fault, really.” So much for early cycling confidence. 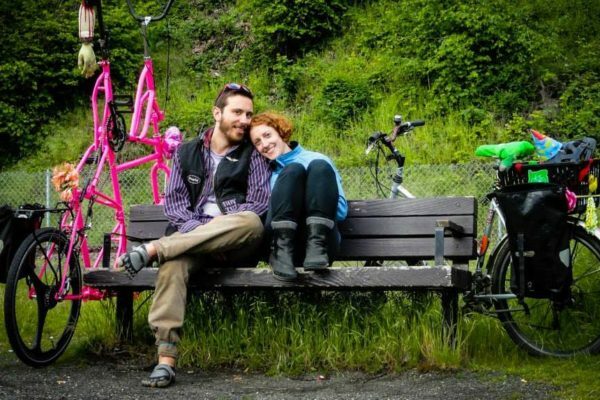 It would take the better part of a decade before a 20-yr old Lavanya again saddled up to ride, this time at the urging of partner and fellow cycling enthusiast Alistair Cowan. There would be no turning back. Tours through Tasmania and large swaths of Western Europe were soon to follow, until in 2016 Lavanya first caught wind of Lael Wilcox’ “Women’s Scholarship for the Baja Divide.” The rugged 1700-mile trail across Mexico’s Baja Peninsula had only just been patched together, but with her current job in Japan ill suited for off-road cycling she knew she had to try. And try she did. 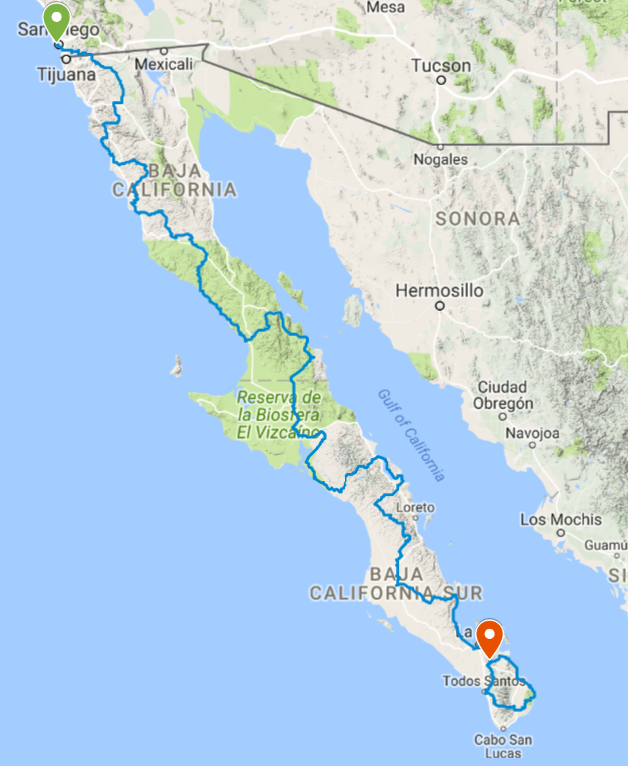 For those unfamiliar with it, the Baja Divide is to North America’s trail riders what the PCT is to its through-hiking community. Just let the words “92,000 ft of total elevation gain” sink in for a minute. 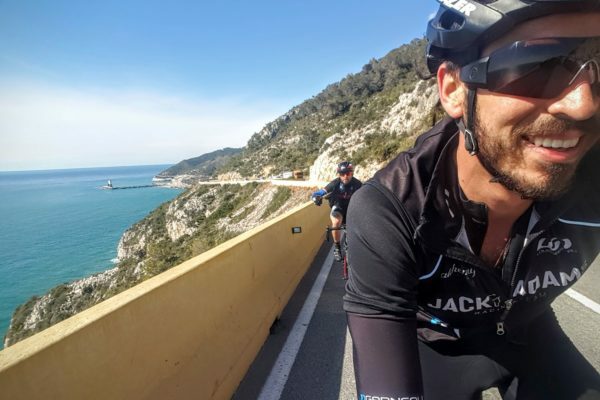 Stretching from San Diego, California to San José del Cabo, Mexico, the breathtaking route passes over mountains, through pine forests, down into canyons and across surreal tracts of desert dotted with Baja’s endemic cirio trees. “Exciting” is certainly one way to put it. This newfound physical freedom was accompanied by another sort of liberation, one that stems from Lavanya’s cultural upbringing. Back home in India, where some family members had once looked with disapproval on her adventurous exploits, the seriousness of her skill and the official recognition of her passion for trail riding were beginning to take effect. But while the accomplishment is certainly a noteworthy addition to her cycling resume, Lavanya is quick to put it in perspective. That pursuit continues next month, when she’ll be participating in an overnight girl’s ride in Anchorage, Alaska. 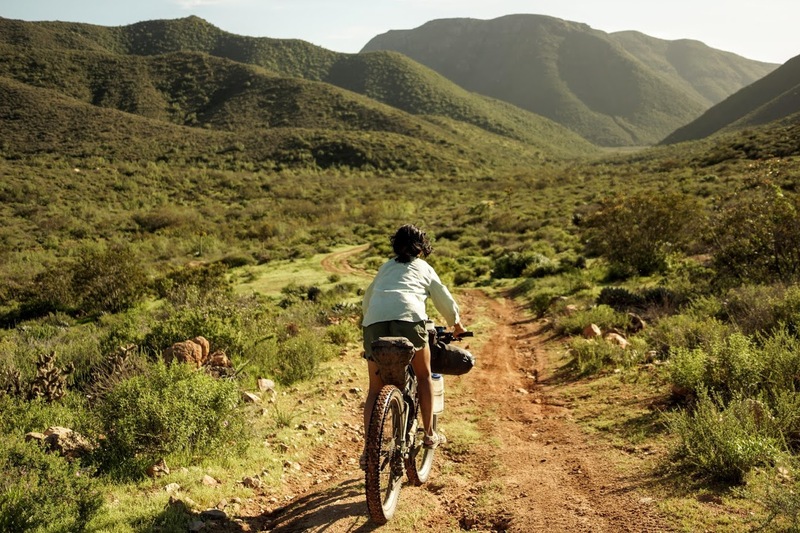 The mentorship program, known as GRIT (Girls Riding Into Tomorrow), was founded by Lael Wilcox with the aim of providing a group of elementary school girls with bikes and bikepacking skills. 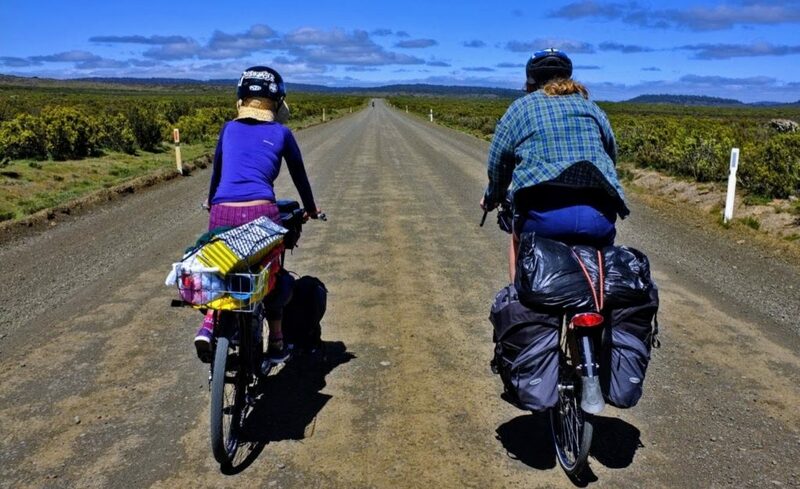 Lavanya hopes the experience will increase her skill set as a bikepacker and give her the confidence to organise longer bicycle tours for the Winona Riders. If you’re interested in continuing on this journey with her, the ambitious 27-year old is currently organizing a self-supported Winona Ride in Taiwan at the end of 2017. You won’t need any special equipment to participate in the 10-14 day excursion, thanks to a bicycle touring program organized by the Taiwanese government. Just bring a spirit of adventure, and Lavanya will take it from there. Find out more by contacting Lavanya directly at instagram.com/lavlavish.